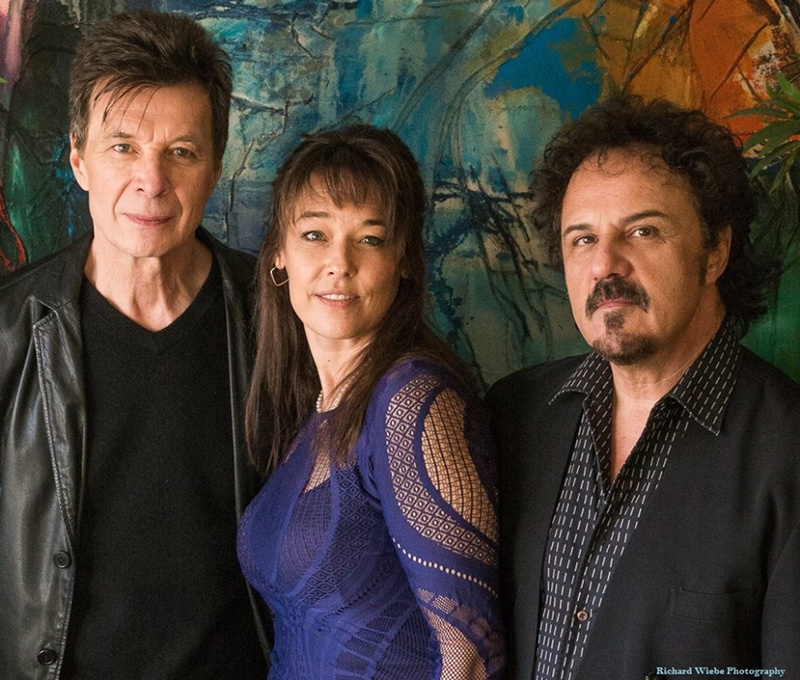 With roots in iconic rock, funk, soul, and artfully penned new music and many other diverse styles...the Rockingbyrds breath new fire into the classic songs of our generation. Performed in a unique organic acoustic guitar and vocal trio, The Rockingbyrds will take you on a musical journey from A (America) to Z (Zeppelin) and everything in between. A very special feature of this show will be the interactive portion in which audience members can participate with requests. Rachael Chatoor Rachael Chatoor is a native of Vancouver and has been part of the local music scene since the early 90′s. Rachael brings a professional grace and charm to all of her shows and the warm, welcoming atmosphere that she creates only compliments her distinct voice and diverse musical talent. Russell Marsland Music hardwired to his soul... Considered one of Vancouver’s finest guitarists, Russell has performed with the likes of the Allman Bros, Chuck Berry, War, James Brown and Ray Charles just to name a few. As a writer, producer, guitarist and vocalist, Russell has performed since a very early age and is preparing to launch his second original album. Jeff Neill Jeff Neill has had a recording career that spans three decades and he has earned over two dozen gold, platinum and multi platinum awards worldwide with R&R Hall Of Fame inductees, Streetheart, Loverboy and Australian icon, Jimmy Barnes. Over the years Jeff has worked in the studio with a wide variety of artists from Joe Cocker to Keith Urban and has shared stages with The Rolling Stones, Bon Jovi, ZZ Top and Sting to name a few. With The Rockingbyrds, Jeff is able to take his producers perspective, awareness and musical scope and help take the Rockingbyrds experience to its highest level.